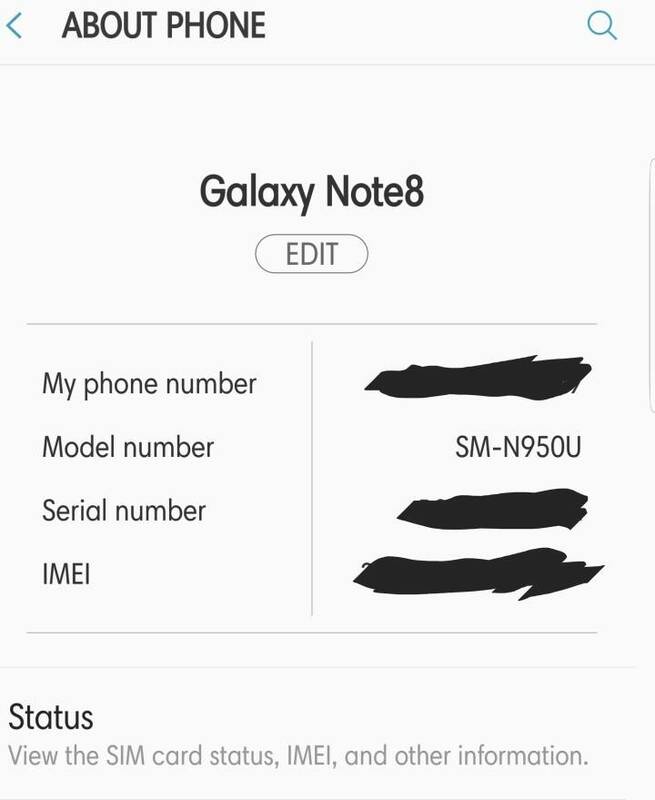 Imei and serial number are not printed on back of my note 8! It was moved to the settings > about phone menu. If all you need are the numbers, what difference does it make where you find them. Also, OP, the phone is water resistant. You can actually play with it in the water. Looking at some pictures, I'm not sure I'd expect that information to be printed there any longer. Can you pull out the SIM tray and see if the serial number is printed there and compare it to what is reported in the phone menus? That's where it is on my Pixel 2 XL. The IMEI is on mine just not the serial number. Found it down at the bottom, very tiny print. wasn't there a change in ruling in the US and phones don't have to have that information on the back anymore? I remember reading about it with regards to the last set of iPhones. mine is a European model and there is a load of tiny print on the back so I assume it is there but it's too small for me to read! But mine is not from US. I have seen many pictures and watched videos, some of them have only IMEI on the back and others have both IMEI and serial numbers. There's nothing on sim tray. It was printed on a sticker that was attached to the phone when purchased. The IMEI is on the back of my Note 8. US AT&T version. On my Uk version both are etched in the back glass in teeny, weeny, tiny writing at the bottom. I was asked for it on a call and had to stand by a window in full sunlight before I could really even see it was there. Just glad I have good eyesight. Of course the Samsung "technical engineer" was encouraging me to take the back off my note 8 to find it. I live in Nigeria and mine is on a sticker at the back and also etched at the bottom of the phone. But there is nothing at the bottom of mine. Oh! Now I'm a little satisfied. 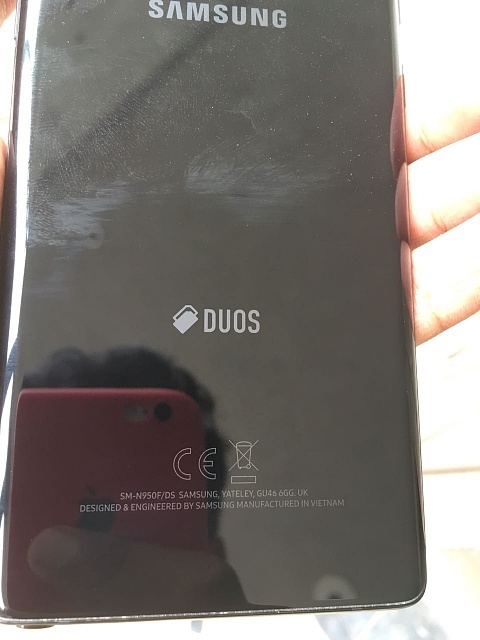 I know everything about the Phone but I bought it 2nd hand that's why I was doubtful about the back being replaced and it has no water resistance. But I'm satisfied because I put the Phone in water and it is alright. Thank you everyone for the help! Presuming the phone is working, of course. Why does my Samsung A3 (2016) home screen not hold its format when it runs out of charge? Why is my google playstore not working.